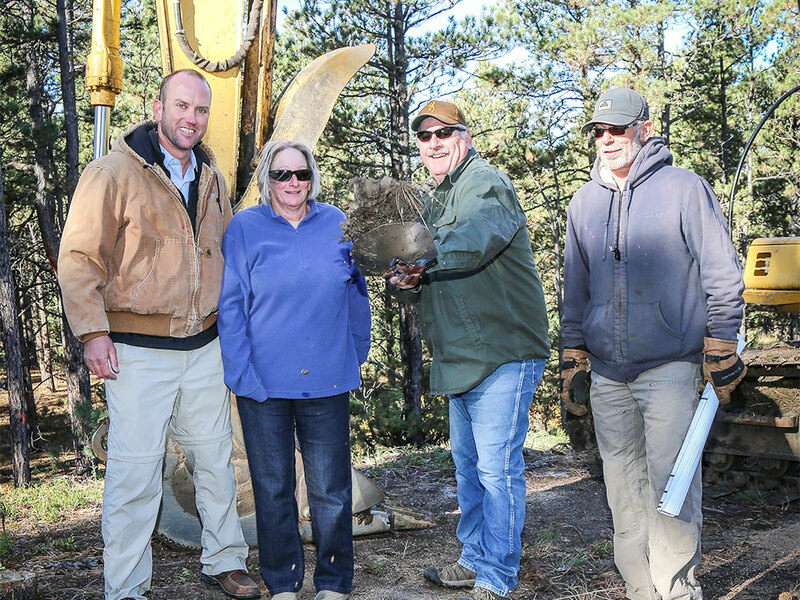 Today, we broke ground on another custom home in Black Forest! Unlike the majority of the homes we’ve built this year, this particular home is not a rebuild from after the Black Forest fire. The Puckett Family moved here from the west coast and purchased a lot in Black Forest and asked us to build the home they’ll retire in. Like many other people, the Pucketts moved from California to Colorado to experience the high quality of living our mountain region offers. We’re looking forward to welcoming them to their new home when it’s built!